I hope everyone had a wonderful Easter! I know I sure did! 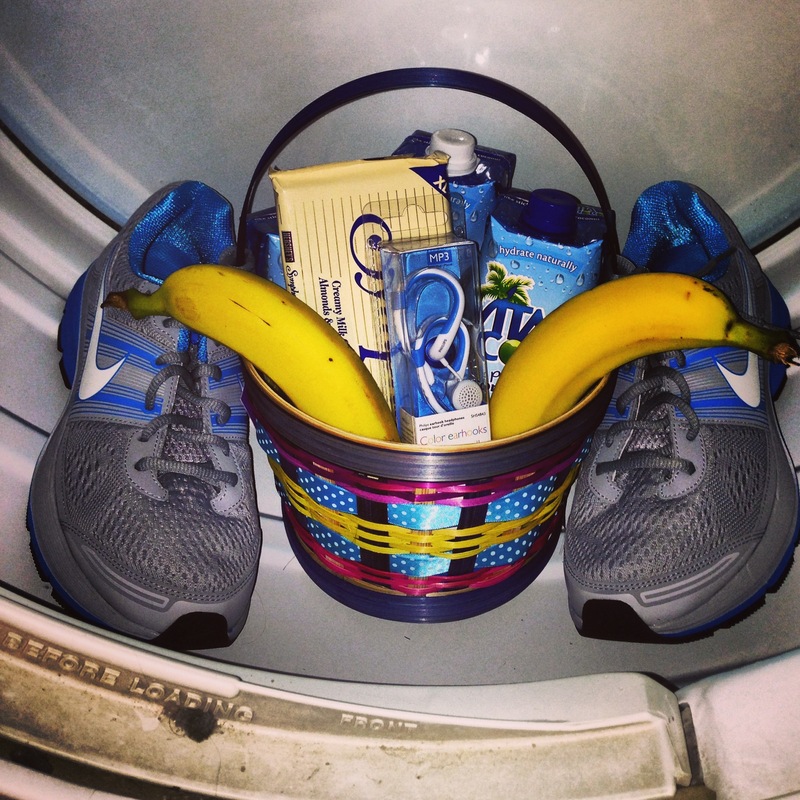 My sweet husband made me a “healthy” Easter basket and hid it in our dryer. Of course he knows that even though I am trying to maintain my healthy habits, I always have a sweet tooth! Coconut water, new headphones, new shoes, a workout top and my favorite chocolate bar – Hershey’s Symphony Bar with Toffee bits :). In case you are wondering what I made for Easter, here it is! I was having a really hard time deciding between these Cheesy Sweet Potato Crisps from Carrots ‘N’ Cake and this Kale & Feta Crustless Quiche from Eating Bird Food. I was so torn between the two, so much so that I had a spark of creativity and decided to try them both. I saw this recipe on Pinterest for Granola Cups earlier in the week, which is where my idea came from. 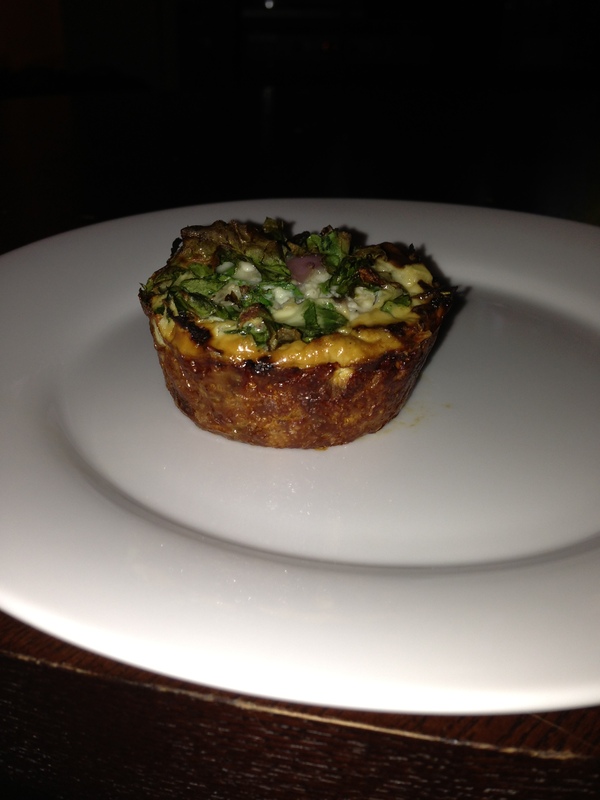 Introducing Kale & Feta Egg Nest Cups! Instead of making the cheesy sweet potatoes into crisps I pressed them down into each muffin pan, baked at 400F for 25 minutes then added the Kale and Feta mixture to each egg cup and cooked for another 20 minutes. I have to say they turned out pretty good! ( Sorry only had a crappy pic with my iphone). 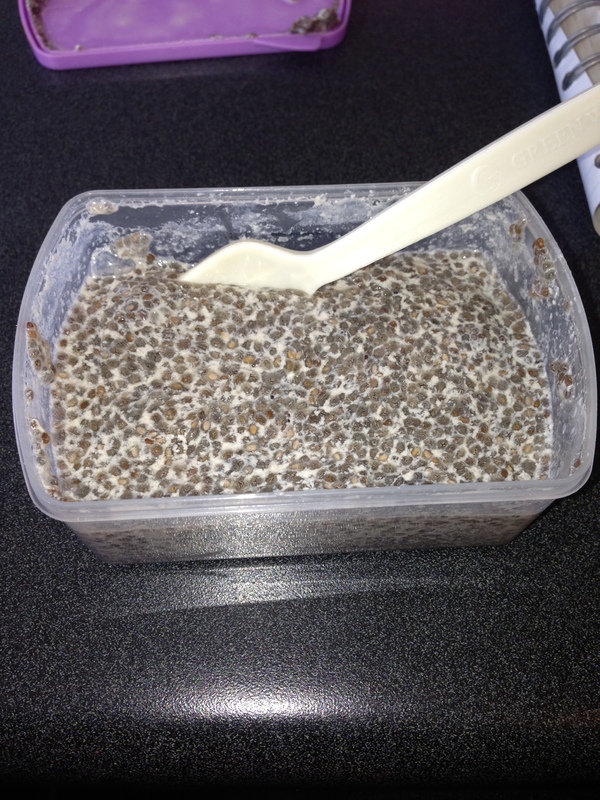 Ok on to what this post is really about … Chia Seeds!! Yesterday I definitely ate one too many pieces of candy and woke up this morning not feeling my best. Hey, we all have days like that and like I have always said, it is all about balance. If you don’t have a great day of eating, wake up the next day and make it a goal to get back on track. So that is just what I did. I woke up this morning 30 minutes early and ran 4 miles before work and packed all my healthy snacks/meals (that I made Sunday night) to bring to work! Although I went to bed last night not feeling my best, I was proud that I took the time before going to bed to meal plan and make some healthy detoxifying foods. When your body craves a detox, it is important to include as many lean, clean and green foods as possible. One of my favorite foods to eat when I want to detox is Chia Seeds. Yes, you may remember the Chia Seed from the 80’s fad of the Chia Pet, but they are now gaining popularity as a super food because of their many health benefits. Chia Seeds are so wonderful for detoxifying your body because once digested they swell and absorbs toxins in your body, cleansing the digestive track. They contain other detoxifying properties that provide glowing skin, strong nails and shinny hair. Chia Seeds are also great for your body because the high quality of protein keeps your body strong and the high fiber which will keep you fuller longer. One fun fact about Chia Seeds that makes these little guys so detoxifying is that when added to a liquid they can absorb up to 10 times their size in water. They take on a jelly-like consistency which is so crucial in cleansing your body as it passes through your digestive track and will keep you feeling full for a long time! I love to add Chia Seeds to my smoothies or make pudding for a healthy snack. Mix all ingredients together and store in a container overnight. Enjoy the next day for a healthy breakfast or snack. I made a big batch of this last night and will be eating it as a healthy snack all week to help me detox and get all that sugar from Easter our of my body. I also made a big batch of my Green Detox Smoothie to aid in my detox this week. Another tip for detoxing, cut out dairy for a week. If you can’t do a week, do a few days. Your body will feel less bloated and you will thank me later. What are some of your favorite foods to help you detox your body? This entry was posted in Food, Uncategorized and tagged Chia Seeds, Dairy Free, detox, Gluten Free, healthy living, healthy recipes by find your healthy haven. Bookmark the permalink. Hi Kerry! I made this last night and tried it this morning. It was delicious!!!! Hi Katie!! Oh good! I am so glad you liked it! It is so easy to make and so good for you! Thanks!! 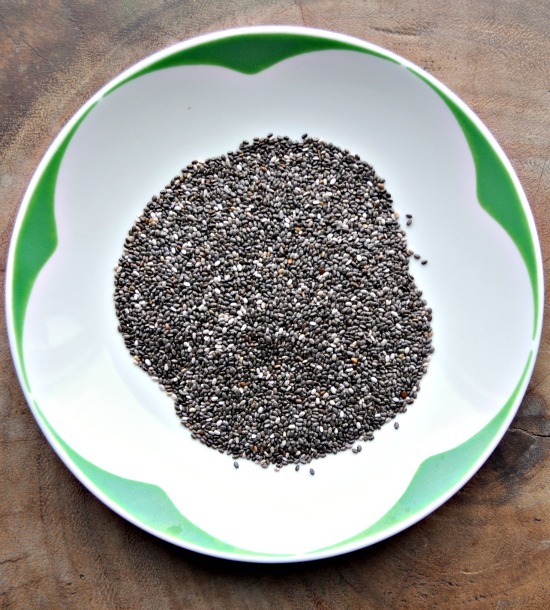 I love Chia Seeds and try to put them in my salads and smoothies too. I recently made a chocolate banana chia pudding! So good and will be up on the blog soon!